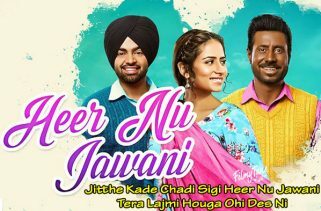 Dholna Lyrics from the Movie Qismat, it is starring Ammy Virk and Sargun Mehta. Director of this Punjabi Film is Jagdeep Sidhu. The Movie released on 21st September 2018. The Movie’s title is based on the Famous song ‘Qismat’ was also starring Ammy Virk and Sargun Mehta. B Praak is the Singer of this Punjabi Song. Dholna Lyrics are written by Jaani. The Music is composed by B Praak. dholna punjabi song mp3 download on gaana.com & saavn.com.